A type of Brazilian rhythm (also known as a baião in Portuguese). In its original form, the baião is similar to the samba. Sometime around the late 1950s, it was borrowed and simplified by American music and became one of the most basic rhythmic patterns in pop music. Its distinctive pattern consists of two long notes separated by one of short duration (i.e. long-short-long). Two well-known songs that have a baion-esque beat are Be My Baby by the Ronettes and It's Not Unusual by Tom Jones. 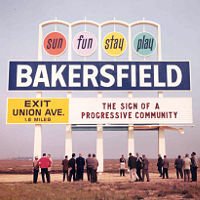 Bakersfield is a city in California, about 100 miles north of Los Angeles. Its population is approximately 365,000, making it the ninth-most populous city in California. 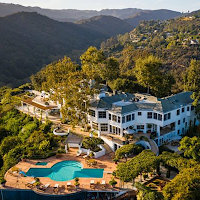 To the outside world, it's probably best known as the birthplace of the country music genre known as the "Bakersfield sound", of whom Buck Owens and Merle Haggard are the most successful proponents. A type of tropical fig tree. 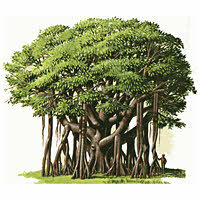 The term "banyan" includes many subspecies such as Indian Banyans, Chinese Banyans, Sacred Figs, and the sinister-sounding Florida Strangler Fig! In all cases, the banyan's distinguishing feature is its branches, which send out shoots that grow down to the soil to form secondary trunks. Of historical interest is the fact that Siddhartha (the young Buddha) was apparently sitting under a banyan tree when he received enlightenment. The specific tree in question is known as the Bodhi tree — sharing the same root (no pun intended) as the word bodhisattva. A Spanish-speaking quarter or neighbourhood. Barrios are especially common in the Southwestern U.S., but the largest and most well-known is in East Harlem, New York City. In case you're wondering, "barrio" literally means "neighbourhood" in Spanish. A neighbourhood in upstate New York, close to Annandale-on-Hudson and Bard College (Becker & Fagen's alma mater). 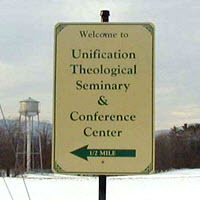 Its biggest claim to fame would be as the headquarters of The Unification Church, a.k.a. "The Moonies", a religious cult who gained notoriety in the 70s from reports of its mass weddings & alleged brainwashing of members. As a fundraising measure, followers would often stand at street corners, carrying small bouquets of flowers for sale (hence the lyric). Fictional type of street weapon. Unlike many other of Becker & Fagen's imaginary concoctions, we can be fairly sure about this one since Donald Fagen explicitly referenced it in a July 2011 interview with The Wall Street Journal. Quote: "Walter and I both love inventing slang. For example, in 'Josie', there's a street gang using a weapon called the 'battle apple'. It sounded better than any real weapon we could think of." What exactly a battle apple would look like is left up to the imagination of the listener. A bay (technically a lagoon) located on Florida's Atlantic coast. Biscayne Bay starts at Miami and stretches about 30 miles southwards, towards the Florida Keys. So there are plenty of places for the Cuban gentlemen to enjoy their nap! 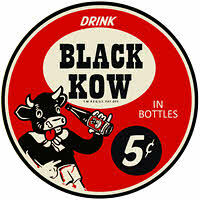 Depending on who you ask, a true black cow consists of either Coke or root beer mixed with either milk or ice cream (with optional chocolate sauce). There's even an alcoholic version, containing Grand Marnier and cold coffee. A type of SUV (sports utility vehicle) manufactured by Chevrolet. 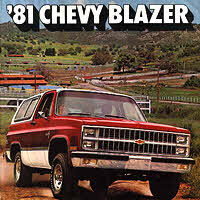 First launched in 1969, the two-door, four-wheel-drive Blazer took the car industry by storm and quickly caught on with drivers who would normally never consider off-road driving, leading to the huge popularity of SUVs today — beloved of "soccer moms" and loathed by environmentalists for their inefficient fuel consumption. A street in New York City, which runs roughly east-west through the Greenwich Village area of Manhattan. 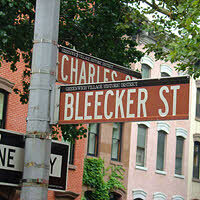 Bleecker Street is probably best known for being the home of "Beat" poetry and a breeding ground for acoustic singer-songwriters back in the 1960s. In Buddhism, a being who compassionately refrains from entering nirvana in order to save others and lead them to enlightenment. Bodhisattvas are themselves worshipped as deities in Mahayana Buddhism. Link: What is a bodhisattva? City in California, located approximately 60 kilometres east of San Francisco. Its population has mushroomed from 23,000 in 2001 to an estimated 60,000 at present — no doubt entirely due to it being namechecked in this song! And in case you're wondering, there's no evidence of there ever having been a restaurant/bar/whatever by the name of Giorgio's anywhere in the city. 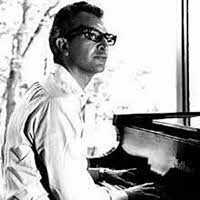 Dave Brubeck (1920-2012), American jazz pianist and leader of jazz band The Dave Brubeck Quartet. Their laid-back yet experimental style was epitomised by the hit single Take Five, found on their 1959 album Time Out — the first million-selling jazz album in history. 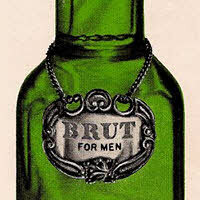 A well-known brand of men's cologne. Introduced in 1964 by the Fabergé company of Paris, Brut's distinctively strong ambery fragrance is classed as a fougère (fern-like) fragrance.